Onboard Chargers are the brains behind the WiBotic system. Installed on the robot, drone or other vehicle, the OC converts wireless power back to DC and provides intelligent battery charging and battery monitoring for fleet-wide power optimization. 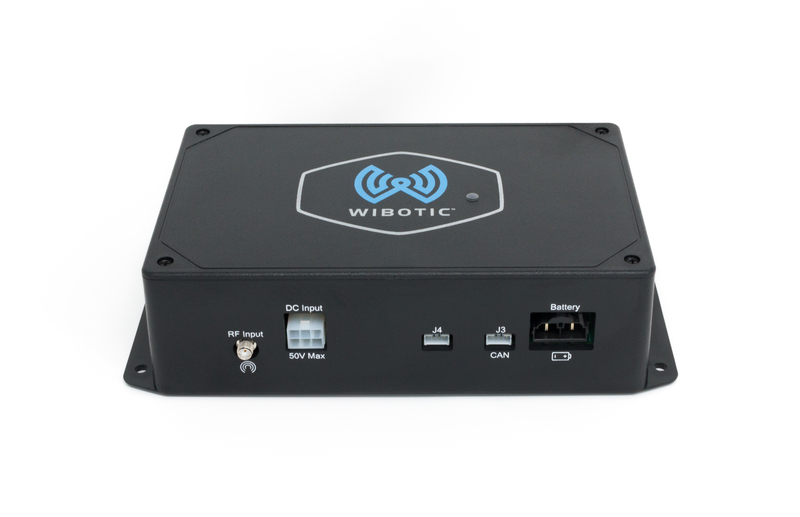 The OC-300 is WiBotic’s highest power Onboard Chargers and is commonly used with mobile and marine robots of all sizes and large commercial drones. Providing up to 300W of power and up to 30A of charging capacity, the OC-300 allows batteries with relatively low voltage to charge a high current levels for rapid charging. As with other OCs, the TR-300 is shipped in a plastic enclosure with mounting flanges, but other mounting and robot integration options are available. The OC-300 should be paired with the TR-300 Transmitter.